D.L - Enjoyed his personalized plan and found it easy to stick to. 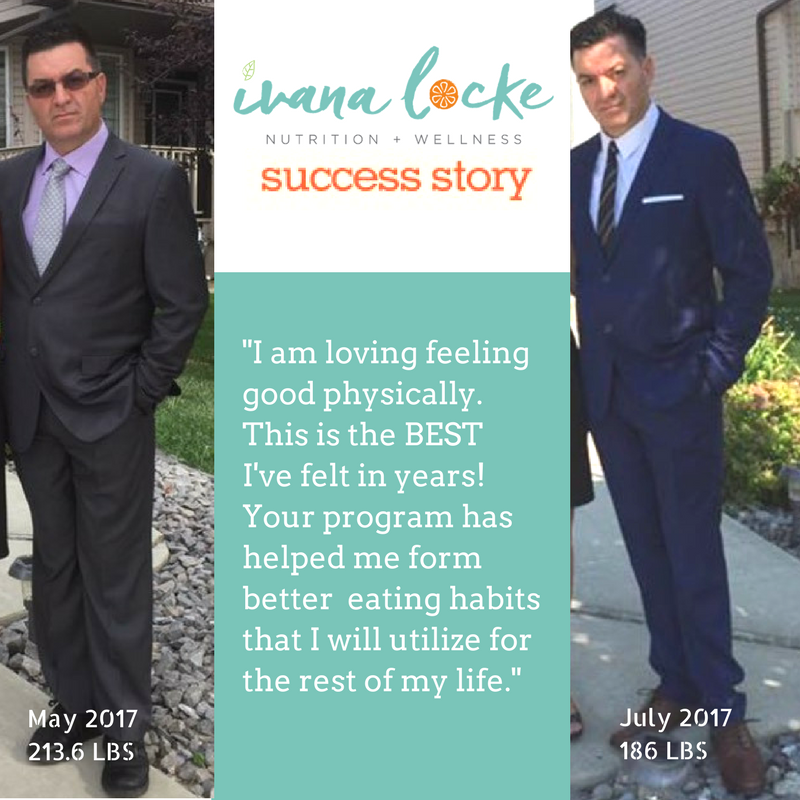 "Ivana was there to guide me through any nutritional hurdles. She helped me simplify the process, by way of recipes, strategies and tips to integrate into every day life. My Metabolic Balance plan she formulated for me was easy to follow and you are eating whole unprocessed foods that you buy at the grocery store, which makes it affordable, sustainable in the long term and tasty. The best part is you have your own personalized framework eating plan that you can utilize for the rest of your life." J.P. - In the first two months, she was already seeing an amazing transformation. "The Metabolic Balance plan truly is an individualized program formulating the right foods to balance out hormones so that the body can facilitate weight loss. I love that there is no calorie counting, packaged foods, protein shakes or supplements. It's a personalized nutrition plan with real food that feeds your body the building blocks it most needs. In addition, it's a once-in-a-lifetime investment because once you know the right foods your body needs, you can always get your system back into balance." 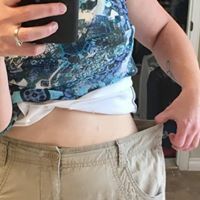 Kim - She needed to buy new pants after shrinking her waist size. "Ivana offers support far beyond nutrition. She is compassionate, patient, and encouraging. The Metabolic Balance program is not a cookie-cutter approach to nutrition. She carefully evaluates your particular lifestyle, and food choices with amazing resources and comes up with a plan that works for you. Ivana has inspired me to incorporate healthy foods while maintaining sustainable habits. I feel energized, rejuvenated and SO grateful for everything I have learned from my work with her." M.C. - Struggled all her life to get a handle on weight issues - Lost 26 lbs. in 7 months. "I will start by saying 5☆ isn't enough....Ivana deserves 100☆!! I have struggled all my life to get a handle on weight issues. Following the Metabolic Balance Program with Ivana's expert help and guidance, has been my solution. She has helped me to understand how each individual body is different, how our bodies process foods, and the adverse affect some foods can have. Although we think we lead healthy lives and are eating right, it isn't always just that simple. Understanding these elements makes it easier when grocery shopping, preparing meals and eating out. In 7 months, I lost 12kg, during that time went on overseas holidays and was still able to easily follow my new life meal plan and continue to lose weight. It is all thanks to Ivana, her willingness and eagerness to help people with a plan specifically designed for their individuality, her patience in answering questions no matter how small, and her positive attitude." Eugene T. - Feels healthier than he has in years after following his Metabolic Balance plan. 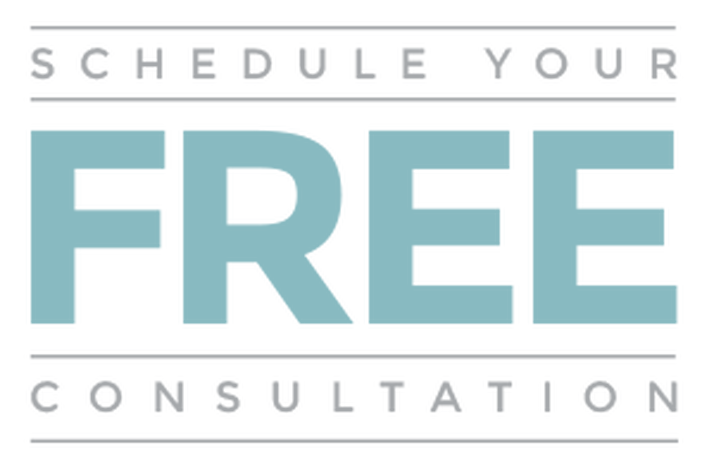 "We were looking for a nutritional consultant who would be able to provide suggestions on best foods for our young family's specific needs. Ivana was incredibly thorough, considerate and provided insightful information, which we have already begun to implement in our daily lives. Choosing to eat what is best for optimal wellness can be a daunting task, and having Ivana in our court has made the transition so much smoother than when we'd attempted to implement these changes on our own. I look forward to meeting with Ivana to discuss meal planning, and further organize our health needs. Thank you for everything!!" Natasha L. - Took control of her health with the added bonus of losing 12 lbs. "When I think back through my 20’s and early 30’s, I can’t ever remember feeling good. At 22, I was diagnosed with a depression and anxiety disorder. Then, at 33, after going through a period of high stress and big life changes, I was diagnosed with high blood pressure. I needed a pill to wake up, a pill to keep me calm, a pill to maintain my heart and a pill to go to sleep. Coffee became a food group and I was a raging sugar addict. My stomach hurt, I was bloated after every meal and I knew there was something off with how I was digesting my food. I felt awful every single day. I had put on about 30 pounds from all the medication and unhealthy food choices I was making. My body was heavy and my joints hurt. I was sleeping no more than 3-4 hours consecutively a night. Tired had become an automatic response to how I was doing. It still took me until I was 36 to get serious about my health. However, my blood pressure remained high despite medication, eliminating birth control, adding exercise and trying to make better food choices. At 38, I started slipping back into old habits and that familiar tired, moody, depressed, anxious feeling had come back. It was around the same time that I came across Ivana’s social media posts and discovered that she was certified in Holistic Nutrition. I became more curious about her services and about how she can help me. When we got together to discuss my health concerns, I decided to commit to the Metabolic Balance® nutrition program. Today, I’m beyond excited about all the changes and improvements I’ve gone through. To date, my sleep has improved significantly; I no longer need blood pressure medication and my anxiety has decreased to a place where it almost no longer exists. I’m not sure that I was ever depressed; I just wasn’t fuelling my body with the right food choices. My focus and concentration has improved and my stomach pain, bloating and digestive issues have disappeared. The added bonus of this new lifestyle plan was that I lost 12 pounds. My favourite part about the Metabolic Balance® program is that it is simple, sustainable and supported. It’s a detailed and personalized plan that has helped me form better lifestyle and eating habits that I will utilize for the rest of my life. Working with Ivana was one of the best investments I’ve made for myself. She has been available and thorough every step of the way. It was a positive experience and I feel great!" Joey H. - Lost 22 lbs. Joey H., lost 22 lbs. I became aware of the program through my colleagues at work. I had tried several weight-loss programs before, but without any long-term success. Metabolic Balance® is the first approach where I was able to maintain my weight for a longer period of time. The individuality of the concept convinced me. The blood analysis and the individually tailored food list were the reasons I trusted the program from the start. At the beginning, I had cravings for sweet things that I would never usually eat. This only lasted for a few days. Otherwise I had no problems at all. It was great to see how big the portions actually were and you do not actually feel hungry, despite the fact you are losing weight. I looked at some Christmas photos of myself and I was totally shocked how overweight I had become. At that time, I weighed around 240 lbs and I was generally dissatisfied. I had tried everything to lose weight. Literally everything! But in the end the yo-yo effect always kicked in and I was really frustrated. I was often asked how I was able to lose weight, while my boyfriend was still eating 'normally'. People thought this would distract me. But it didn't at all! I honestly find everything on the plan so delicious that it really doesn't bother me if someone next to me eats a pizza or a burger. Due to the structure and the supervision. Suddenly everything became easy. I lost 77 lbs really quickly and from that moment on, I became more confident. First, I looked for a better job and then I moved in with my boyfriend. I feel happy and have never felt so well. When I look at my before and after pictures, I find it incredible to think that used to be me. I began Metabolic Balance® when I kept putting on weight. I had acid reflux after each meal. My family doctor explained that due to my weight, the acid in my stomach was being forced upwards and prescribed me medication against it. Straight after the appointment, I still couldn't believe, that at 26, I needed to take medicine for a condition caused by being overweight. To this day, I have not used the prescription and decided instead to to change my life. I became aware of Metabolic Balance® through my colleague. I then researched it on the internet. Next, I quickly made an appointment. The thing that convinced me was the supervised nutrition plan. I had been looking for a specific plan to tell me how to eat properly for years, as well as a coach to support me through it. I was convinced that if you want to lose a lot of weight, you cannot do it alone. Or at least I couldn't do it on my own. Although Metabolic Balance® seemed quite expensive at first, it is a lifetime investment that more than pays for itself. You have a framework eating plan for the rest of your life. Myriam W., age 29 - Lost 77 lbs. Initially it felt like like a detox. I was freezing cold and my skin was itching. I had to study the food list and work out where to find all the foods. Thankfully I got used to it quickly. Some people around me didn't understand why I was doing it, but there were also many who offered positive words of support. I pushed through Phase 1 and 2. In Phase 3, I had a few set-backs, but now I just follow the basic principles of Metabolic Balance® and still eat the foods from my plan. I felt the success immediately, and after 2 months I had already lost my first 22 lbs. The rest of the weight just carried on dropping off. The biggest change for me was not gaining the weight back again! Before, I just used to watch the scales going up, no matter what I ate. Even after a long vacation, I can still manage to maintain my weight. This is my biggest success. I also just want to move around more and try out different sports. When you eat like this you have a yearning to be more active. My girlfriend took me to a talk by Dr. Funfack, who estimated my weight to be around 330 lbs. At that time I weighed 318 lbs and I suddenly thought: 'That sounds like a lot'. I had my blood tested almost immediately and that was that. I have even been actively taking part in Taekwondo since January. The cooking was a problem at the beginning, but I soon got used to it. I have become more active and will carry on like this until I have reached my target of 180 lbs. My final goal is 160 lbs, but that would really just be a bonus! I had been wearing a dress size 14/16 for years, whilst always trying to lose weight. Despite trying, I was never able to keep the weight off for any length of time. When I tried Metabolic Balance®, I realized, just how easy it was to be true to yourself. The first few weeks of rapid weight loss combined with improved wellbeing impressed me so much that I felt like a spark had been ignited inside me. I felt much more aware of myself and the need to look after myself. I occupied myself with the idea of nourishing my body with healthy food, three times a day. I prepared the foods that I really wanted to eat, and that made me feel satisfied with true dedication. After four and a half months, I amazed myself when I put on a pair of trousers in a size 8! This was beyond my wildest dreams, especially as I was going through menopause at the time. I found, that after changing my diet with Metabolic Balance®, I suddenly had a lot more freedom and new found energy. I also realized that being true to yourself means taking responsibility for yourself. Metabolic Balance® has helped me to find peace with myself. In the neurological clinic, where I was working, we had just got some new wheelchair scales. One day I just stood on and got the 'shock of my life'. I started with a dress size of 22. Now I wear a size 10 and I have lost an incredible 145 lbs. Without Metabolic Balance®, I would have missed out on my new vitality.